Scuba West opened in 1968 with the aim of providing great service to the local scuba diving community. 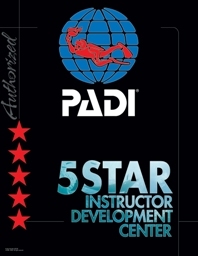 As a PADI 5 Star Instructor Development Center, Scuba West transitioned from a strong presence in the Florida Gulf Coast area, to developing a long-standing reputation worldwide. 50 years later and as one of the areas premier scuba diving facilities, we continue to offer quality service for the recreational, technical and cave diving community. Jeff has been actively involved in diving for over 28 years. He has owned six dive centers throughout the country, as well as worked as a PADI Course Director for the largest PADI Career Development Center in the US, Pro Dive in Ft. Lauderdale. With his 24 year old son Christian, he heads Scuba West, a 50 year old PADI IDC facility. Jeff was previously a professional musician, pro audio technician touring with many top acts in the 80’s, and spent many years managing large bowling centers in Chicago. Today, he spends his time at Scuba West and as a Scoutmaster for the oldest Boy Scout troop in Springhill, Florida, Troop 303. Christian began diving at age 10. He is currently an Advanced and Enriched Air Diver. His duties at Scuba West include working in sales, rental and tank servicing. Christian became an Eagle Scout in 2012 and is currently an assistant scoutmaster with Troop 303. Derek began diving when he was 13 while his father was stationed with the US Navy in Guam. The clear waters and shore diving of the Pacific made him develop a love for the water that carried into his adulthood. At the age of 20 he joined the US Army and served as both a field artilleryman and a combat medic before getting out in 2017. Now a PADI Elite IDC Staff Instructor, Derek enjoys diving as much as he enjoys teaching. Derek spends most of his days outside of work diving for fossils in the Gulf and rivers, to the caverns and caves of North Florida. Mathew (Matt) began his diving career at 17 in the lakes and quarries of the Midwest with a family friend. While in the Midwest he went on to earn his Advanced and Rescue diver certifications before moving to Florida. Once in the Sunshine State, he moved into the professional ranks, earning his Dive Master and Instructor certifications. Currently, if he’s not in the water, he’s thinking and planning his next dive and/or dive trip. Most of his recent diving has been in open ocean in both Hawaii and Florida. From 1998 to 2016 John worked at Hawaiian Island Aquatics, Oahu HI, as a divemaster. John became a PADI Instructor in 2018. He has completed over 3700 dives. Originally from Utah, Rich began diving in 2001 while stationed in Okinawa. He continued to dive where and when he could, even on a port call in the Gulf of Oman during a combat deployment. In 2012, while stationed in Okinawa again, Rich turned his hobby into a profession and became an instructor. Rich was fortunate enough to travel to Guam, Yonaguni to dive the ruins and hammerhead migration and to Ishigaki to dive with Manta Rays. He returned to the frigid waters of San Diego for a few years before retiring from the Marine Corps and settling in Florida. Rich is a Master Instructor and teaches 22 different specialties with aspirations of one day becoming a PADI Course Director. Rich is a TEC 50 diver and loves diving Sidemount.